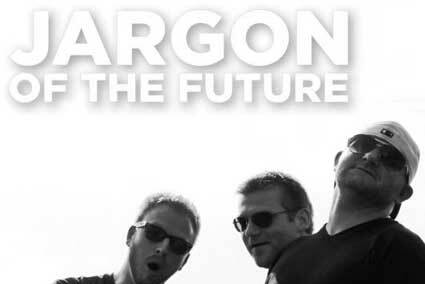 Jargon of the Future (pronounced YAR-gon) is simply 3 guys who want to rock and write great music. Inspired by all facets of music, the trio of like-minded musicians hailing from Columbus, Ohio have been writing and recording together for nearly a decade. After getting a copy of their self-produced EP "Restart the Timepiece" to Jim Wirt,(producer for Incubus, Hoobastank, Live, Alien Ant Farm, Fiona Apple, etc.) JOTF had the opportunity to record their latest EP "Now or Never" with Jim in Cleveland, Ohio. Shortly after JOTF independently produced music videos for each song off of "Now or Never" with media producers from New York and Columbus. Eventually "Now or Never" fell on the ears of a licensing and distribution company (Tinderbox Music) and the EP was released to over 300 radio stations across the country on September 18th, 2012. After performing well on the radio Tinderbox Music felt that JOTF could break into the mainstream, and soon after the band was offered license agreements from MTV and the Discovery Channel. Jargon of the Future's music will be featured on a number of TV shows with the networks, such as Rob Dyrdek's Fantasy Factory, Nitro Circus, World of Jenks, Teen Wolf, and others.